Under President Donald Trump’s controversial “zero tolerance” immigration policy, the U.S. is separating children from their parents at the Mexican border. Some governors from across the United States have reacted by pulling, or withholding, their states’ National Guard troops from the southern border. Illinois doesn’t have troops there, and has not been asked to send them. Gov. 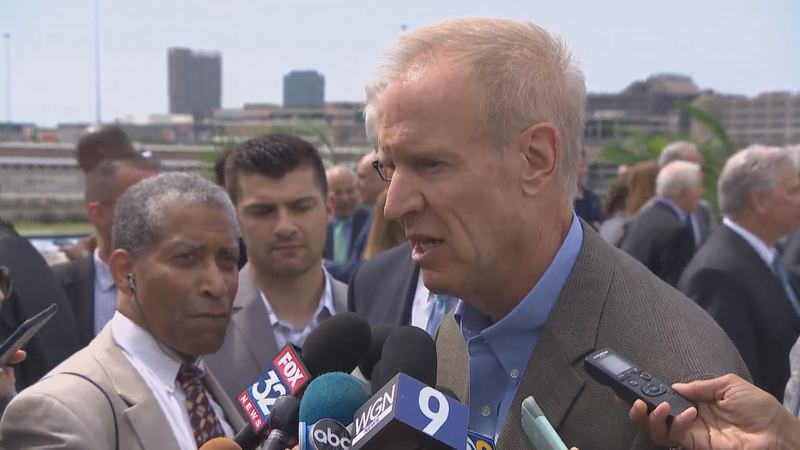 Bruce Rauner previously said he would deploy the Illinois National Guard there if asked. The governor’s opponent in November’s election, Democrat J.B. Pritzker, is calling on Rauner to retract that stance. When asked about it Tuesday, Rauner had little to say. “I’m not giving that any thought whatsoever,” Rauner said. The Republican governor went on, however, to call for an end to dividing families. “It’s wrong. It’s heartbreaking. It’s not the moral thing to do,” Rauner said.